If you are a fan of Japanese food and cuisine, or even if you have travelled to Japan, it is pretty certain that you have tried miso soup before. You may have tried instant miso, ready in less than a minute and available in a variety of flavours. Alternatively, you may have prepared “proper” miso, using miso paste. Or you may have been served a bowl along with your Japan Centre lunch. But how familiar are you with how miso is made and the ways in which the different types of miso are used? 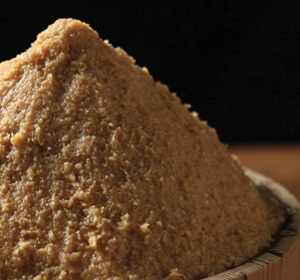 Miso is made by fermenting a selection of soy beans, rice, barley and wheat together to create a thick, textured paste. Although all miso contains some, or all, of these core ingredients, differences in combinations, proportions and quality of ingredients ensure that no two miso pastes are exactly the same. Although the most common way to enjoy miso is by mixing it with dashi soup stock to make miso soup, it is also used used for sauces and marinades, as well as a method for pickling vegetables and meats. Miso varies in colour from a pale brown similar to peanut butter, to a deep brownish-red. The darker the colour, the longer the fermentation process and the stronger the taste will be. Most miso can be separated into three categories: white miso, red miso, and a mixture of both called awase miso. White miso is made from soy beans and a high percentage of rice which are fermented to create a light, slightly sweet taste. The smooth flavour of white miso makes it a popular choice in Japan, perfect for soups, dressings and marinades for fish. Red miso is made from soy beans, barley and other grains with a long fermentation process to create a mature taste, rich in umami flavours. The intense, salty flavour of red miso makes it a great choice for hearty soups and marinades for meat and poultry. Awase miso is generally a mix of both white and red miso which makes it a versatile ingredient, suitable for all types of Japanese cooking. There are many other types of miso from different regions in Japan. Two of the popular alternative varieties are barley miso and miso with added dashi. Barley Miso – Barley miso is made from soy beans and a high percentage of barley which are fermented to create a thick, wholesome taste. Popular in the southern areas of Japan, the rich flavour of barley miso is ideal for traditional soups or as a seasoning for vegetables. 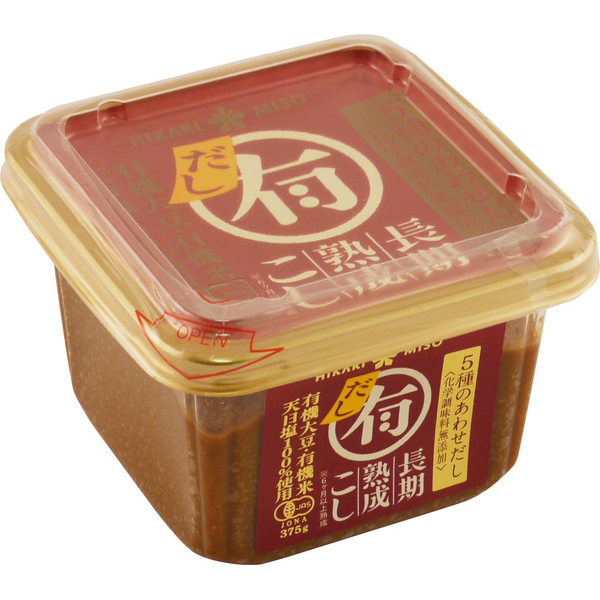 Miso Paste with Dashi – Some varieties of miso paste, whether white, red or awase, have added dashi stock. This type of miso is usually the easiest way to make authentic miso soup as it is not required to add any extra dashi stock yourself. Simply mix a spoonful of miso paste with hot water, add some sliced spring onion and cubes of tofu and it is ready to eat. So, why should I eat Miso? Well, first of all… miso is delicious! It has a rich taste that is rather hard to describe, but can be called salty, savoury, mildly sweet, earthy, soybeany, and has sometimes been called “the taste of mum’s cooking”. 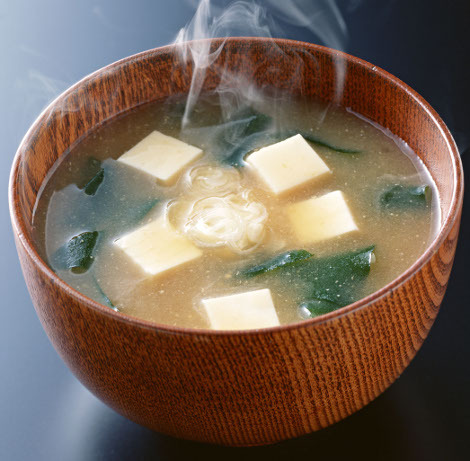 Besides the great taste, miso is also very healthy and has a variety of nutritional benefits. It is high in fibre, protein and minerals, as well as vitamin K and B12 which makes it great for the immune system and digestive tract. Miso really is one of those so called super foods, but just make sure to be careful when you cook it. As miso is a live food like yoghurt, any of the beneficial bacteria is killed when you boil it. Right, where can I buy it? At Japan Centre online, of course! 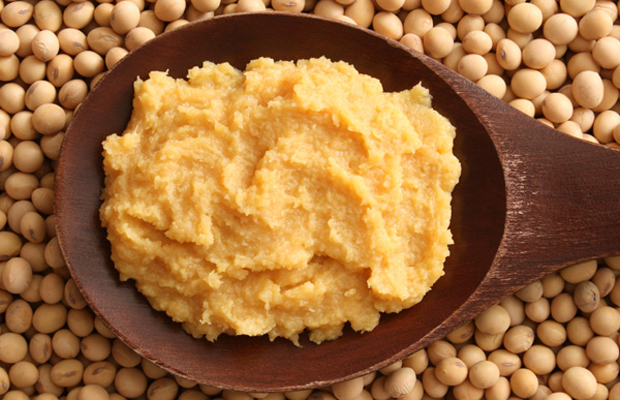 Check out our miso paste, instant miso, or our miso category. Posted in Food and tagged miso, soup. Bookmark the permalink.